The Great Outdoors: a new humorous and colourful CD ROM for making cards for all the family. Mark Bardsley is an outstanding wild life artist and he has created this fantastic collection of humans and life like creatures that inhabit the great outdoors. Create your very own scenes using the interactive design studio that will instantly create cards in a wide range of shapes and sizes. Import your own photo’s and match them to the hundreds of creatures to make some humorous and personal pictures and cards. This is a CD that will appeal to all who enjoy life in the great British outdoors. 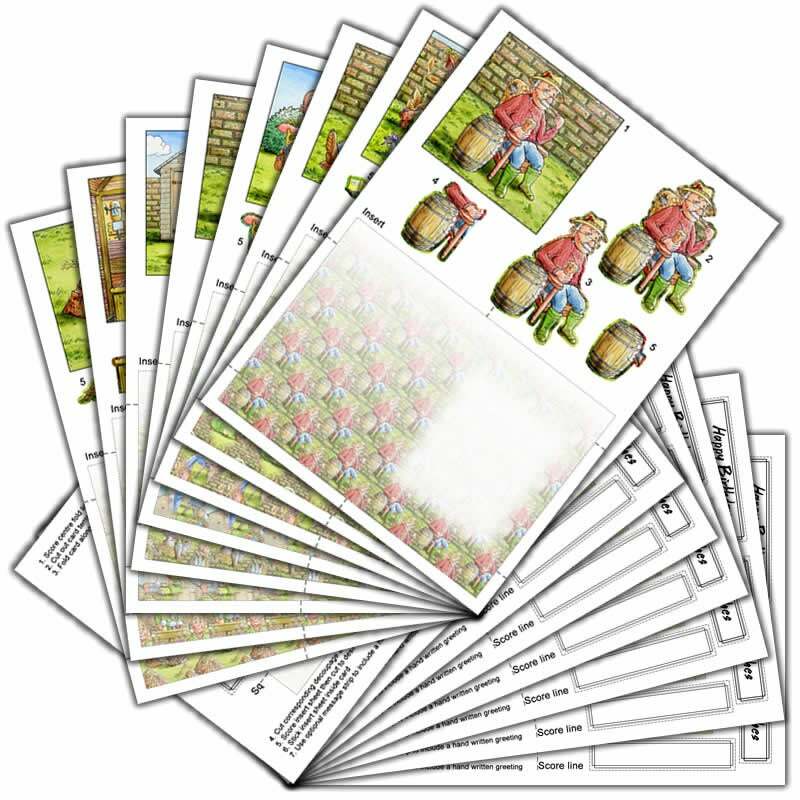 Create your own matching backing sheets using the backing sheet creator; you also have everything as line art for digistamps where you can resize and colour in any way you wish. Great for keeping the kids happy on wet days when you have time to fill! Don’t forget you can view all your creations in 3D using our unique 3D card viewer that saves you heaps of money so you only print when your creation is complete. Over 3500 printable items all on one CD Rom. The Card Hut is a trading name owned by SANDS Media Associates ltd.